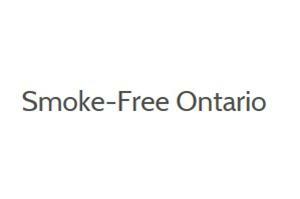 As of January 1, 2015 the new Smoke-Free Ontario Act (SFOA) is prohibiting smoking tobacco in any enclosed workplace, any enclosed public places, and certain outdoor places in Ontario. Sporting Areas: Smoking is no longer allowed at publicly-owned outdoor sporting areas, spectator areas, sporting areas and public areas within 20 metres (65.6 Feet) of any point of the edge of the sporting or spectator area. Owned by the province, municipalities, colleges and universities. ​Open to the public whether or not a fee is charged to enter. We ask that you to abide by the new rules and adhere to any posted signage. Give notice to the public that smoking is not allowed in the smoke-free areas. Ask the individual(s) to put out their smoke. Should they refuse, you can request they leave the premises. Call 519-575-4400 to report the infraction.